on Gigartina bracteata, Olifantsbos, Cape Peninsula, South Africa. M.D. Guiry. © Â© M.D. Guiry. Published in: McIvor, L., Maggs, C.A. & Stanhope, M.J. (2002). 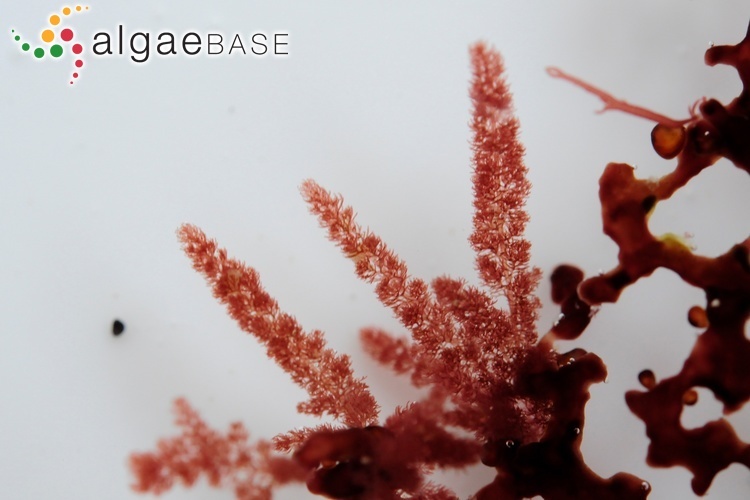 RbcL sequences indicate a single evolutionary origin of multinucleate cells in the red algal tribe Callithamnieae. Molecular Phylogenetics and Evolution 23: 433-446. 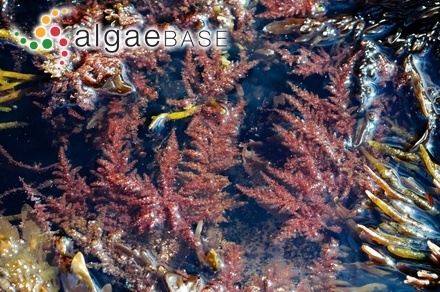 Type locality: Table Bay or Gordons Bay, Cape Province, South Africa (Silva, Basson & Moe 1996: 382). Notes: This type locality was first recorded by Papenfuss (1968b: 269). Adjective (Latin), collapsing (Stearn 1973). McIvor, L., Maggs, C.A. & Stanhope, M.J. (2002). 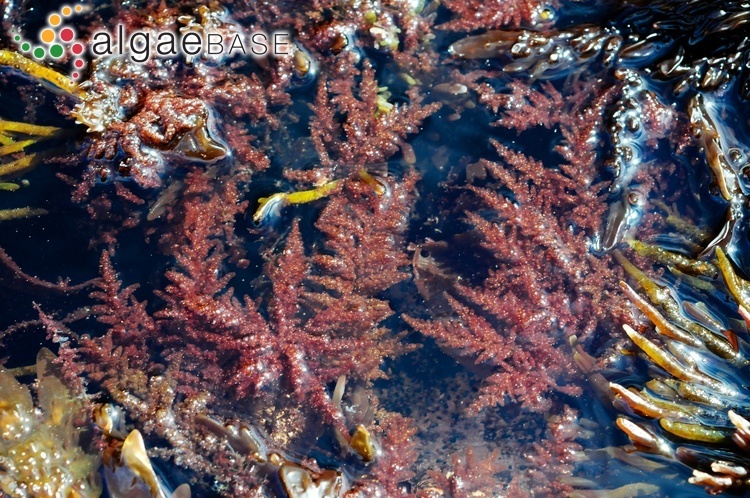 RbcL sequences indicate a single evolutionary origin of multinucleate cells in the red algal tribe Callithamnieae. Molecular Phylogenetics and Evolution 23: 433-446.